The upgraded room I had was nice, a bit dark even with all the lights on, but had all the amenities that I needed for a self catering options which I found very handy as I didn't want to pay the exhorbant prices of the restaurant. 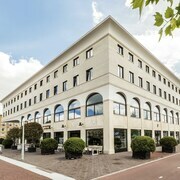 Lovely hotel near train station 2 minute walk to Sloterdijk station only 10 minutes ride to central Amsterdam. Apartment really big, beautiful decor and clean. Spar across the road for all your food and drinks. staff really helpful and pleasant. Can not recommend enough. 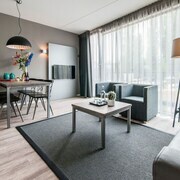 Das Bild wo auf Booking dargestellt war entspricht nicht das gleiche Zimmer welches wir erhalten haben. 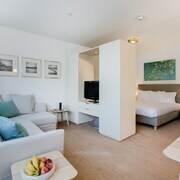 Lovely big rooms, well equipped. Could do with a few more tea bags and milk sachets but thats being a bit picky. Despite being endlessly mythologised, Amsterdam always manages to live up to expectations. Vibrant tulips, rippling canals, pastel-hued townhouses and the merry ting-a-ling of bicycle bells are all part of the city’s everyday magic, and you could spend whole days simply wandering the old lanes and ducking into the cosy, wooden grottos known as brown cafés. 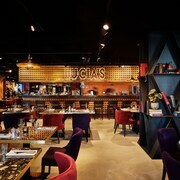 There are hip cocktail bars to be found as well, and plenty of places to let your hair down all night, while culture-seekers will also be spoilt for things to experience, including the stately masterworks of the Dutch Golden Age. 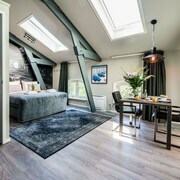 This is a place that expands the mind even as it soothes the soul, so why not make yourself at home with an Amsterdam holiday rental? 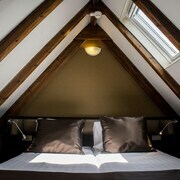 Why book Amsterdam holiday rentals with ebookers? When visiting a city with this much character, it makes sense to stay somewhere with its own identity, rather than settle for just another hotel room. 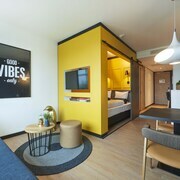 And holiday rentals in Amsterdam can certainly exude personality, with many boasting quirky, colourful decor that reflects the bohemian vibe of the city. 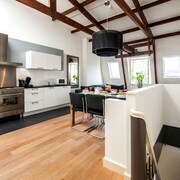 Sleek, contemporary pads are also available, with many just steps away from canals and museums. 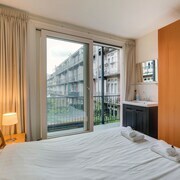 Using ebookers, you can browse the best options for your stay, and look forward to the privacy and sense of liberation that having your own pad will bring. Art lovers will instantly feel the pull of the immense Rijksmuseum, whose palatial walls contain 1000s of works from Golden Age giants including Frans Hals, Johannes Vermeer and the most iconic of them all, Rembrandt. His hugely influential painting, The Night Watch, which is among his most recognisable images, can be seen here. 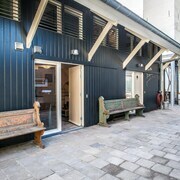 If that gives you an appetite to discover more about his life and times, head over to the Rembrandt House Museum, where the great man himself once lived. 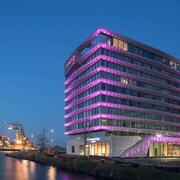 Another essential attraction close to Amsterdam holiday apartments is the Van Gogh Museum, where Vincent’s displayed letters add emotional context to the intense, swirling visions committed to paint. 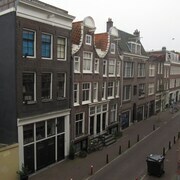 Even more poignant is the Anne Frank House, where you can see the very hiding place which sheltered the brave girl and her family, and where she wrote her inspirational diary. 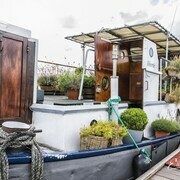 When staying in Amsterdam holiday rentals, visitors won’t have to worry about public transport. One of the pleasures of this city is just ambling around, following the course of the canals and coming across vibrant scenes like the famous, floating flower market. That said, there’s also a reliable tram network you can make use of, or you can simply rent a bicycle and take advantage of one of Europe’s most bike-friendly environments. There’s also a very handy free ferry service across the River IJ. You won’t necessarily need to hire a car when in Amsterdam, though having your own set of wheels is great if you fancy exploring beyond the city and taking in more of the Netherlands.